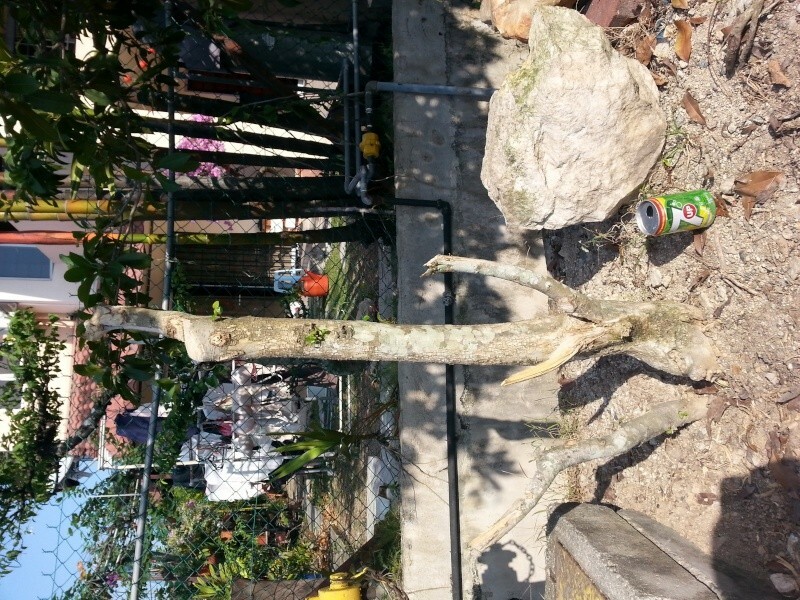 I have a quite huge fukien tea tree, it has a very straight trunk. 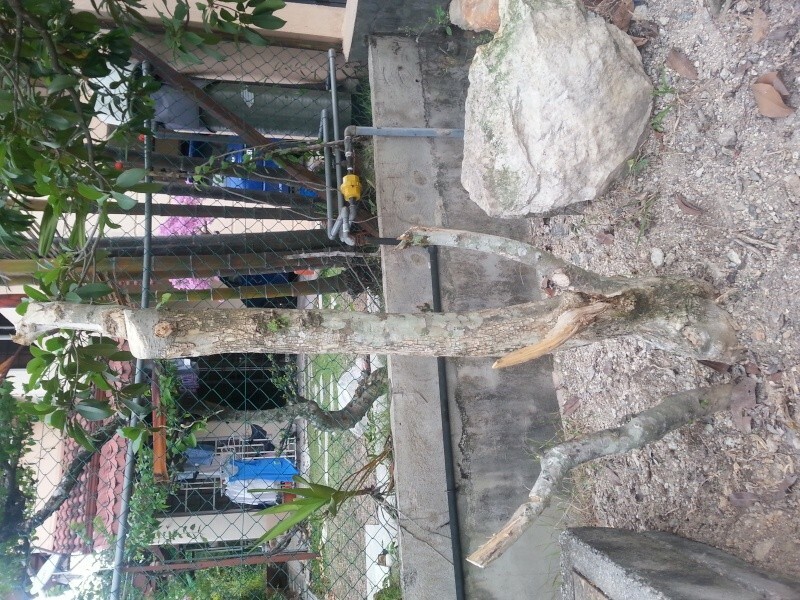 1Which branch should I cut or leave or grow or make ori something? 2 what should I do with the top? And you may wish to let it leaf out for a few months before doing anything. I have a few in the ground and I cut them down recently, presently letting the leaves grow back, before doing anything else. Back to normal position...Why did you rotate it LLB. It was meant to be a semi cascade tree...hehehe, just kidding guys! don't do anything yet, I you want to keep it in the ground for now. It will heal there quicker. Fukien tea is prone to Rotting, The bark will stay there but it will rot from the inside. Sorry, your shari or Jin plan is not possible. if the wood is old / mature enough, it does not rot. My birthday gift from the family back in 1990 something was a 35 to 50 year old Fukien tea. It came carved at the base and with lumps and bumps of old cut-backs, not one has ever rotted. I water overhead everyday and wash the leaves, when it is not raining. However, I think Zhe Ying's effort would be best growing first and then the design can be planned. * Zhe Ying, fully Chinese ? 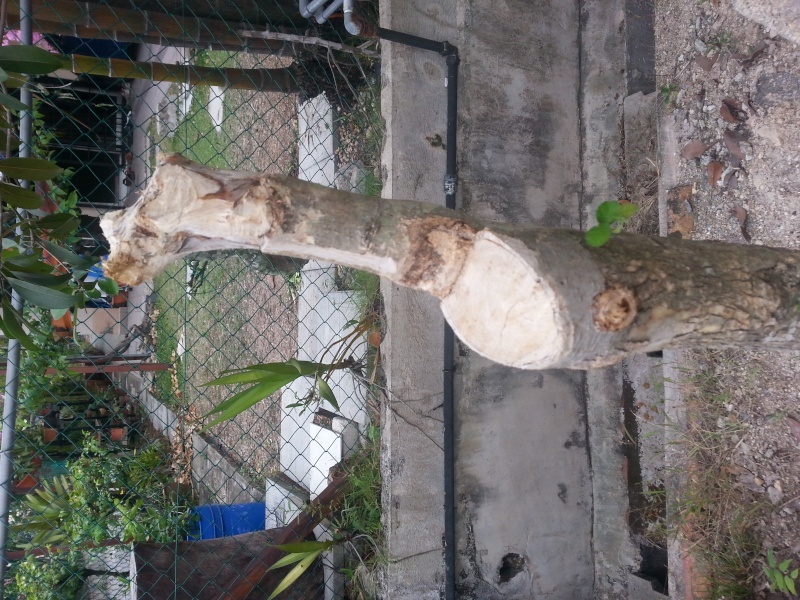 One of mine lost 80% of its trunk due to rotting. I'll post it here. Wow~would you like to share it here? Best of growing with your Fukien Tea, they make extraordinary bonsai.